“Targeting journalists in this way inevitably encourages censorship." 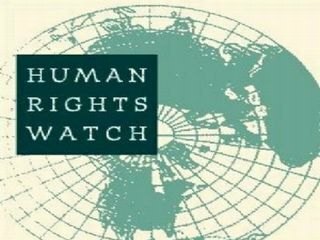 International human rights organization Human Rights Watch called on the Ukrainian authorities to immediately lift sanctions imposed on the heads of Russian media last week. “Ukraine is legitimately concerned about the effects of Russian propaganda, but cracking down on media freedom is a misguided, inappropriate response to whatever disagreement the Ukrainian government may have with Russia’s media coverage about Ukraine,” said Tanya Cooper, Europe and Central Asia researcher at Human Rights Watch. “Targeting journalists in this way inevitably encourages censorship." On 27 May, President Petro Poroshenko banned 17 Russian reporters, editors, and media executives from entering Ukraine through December 31, 2017. Among the 17 are Konstantin Ernst, general director of Channel One, Russia’s main state-owned television channel, and Margarita Simonyan, chief editor of Russia’s international television network RT (formerly Russia Today) and the Rossiya Segodnya news agency. Journalists on the list also include Vladislav Fronin, chief editor of the official government newspaper Rossiyskaya Gazeta, and Vitali Leibin, correspondent at Russkiy Reporter magazine. Russia either owns, at least partially, or exerts significant control over the media outlets listed in the presidential decree..